Electroforming or eforming for short is the process of electrodeposition of metal via a plating bath over a base form or mandrel which can either be a permanent fixture of the finished product or a form template where the electroformed object can then be removed as a completed metal skin. This metal plating up process is in essence the reverse of the electro chemical etching away of material. The dental industry has recently started using the term Galvanoforming electroforming in which gold and ceramics are used to produce aesthetically good looking teeth restorations. The galvanoforming process takes place through using gold sulphite baths in gold concentrations between 40 and 60 g/l (gram per liter). The metal deposited and which is built up by galvanoforming to a three-dimensional moulding can fundamentally be any random metal which can be deposited from an electroplating bath. In the present case mainly the metals which can be deposited in dentistry are used. Particular reference is made in the series of non-ferrous metals to nickel, chromium, cobalt and molybdenum, which are used for dental materials such as NiCr-alloys, Ni-based alloys and CrCoMo-alloys. Preferably with the method according to the invention deposition takes place of a precious metal or a precious metal alloy. These can in particular be metals from the platinum group and silver. In particular, (pure) gold or a gold alloy are deposited. Galvanic deposition in the case of the method according to the invention normally takes place from a so-called galvanizing or electroplating bath, which contains in an adequate concentration the metal or metals to be deposited. The metal or metals to be deposited are present in the form of complexes. The baths also contain conventional additives such as deposition aids, brightening agents, etc. In electroforming, master mandrels can be photo chemically etched precision templates made out of stainless steel or in the case of a temporary mandrel form, they are etched out of aluminum. The master mandrel is then placed into a special tank for electro deposition, usually of a nickel or copper based solution. Electroforming differs substantially from electroplating in that the formed object is much thicker and is typically a self supporting structure. Once the desired amount of thickness of metal is achieved over the mandrel, typically a matter of minutes to hours in the electroforming chemical plating bath, the mandrel is removed and separated from the formed object. This metal object is a free standing product that is an exact representation of the original master template, including the finished surfaces of the original mandrel. It has been reported that the capabilities of eforming provide for tolerances of 1.5 to 3 nanometers and is ideal for micro-machining of precision metal parts. Some of the eformed products include micro mesh, ultra precision sieves, shadow masks, encoders, and seamless three-dimensional parts such as reflectors, belts, and cylinders for all types of industries. When electroforming an object, it is important to start off with a precision part. This is where the beauty of photo chemical machining comes in. The process of using photo etching or photo chemical machining for fabricating complex metal parts, with intricate shapes, flanges, bosses, parabolas, ellipses, conicals, and precision tolerances makes it easy for duplicating these metal parts and ideal for using them as mandrel forms for the final eforming process. Contact E-FAB for a quote on precision photo etched mandrels. Note also, that many times precision thin metal parts of complex and compound geometries can be totally fabricated using the photo etching and photochemical machining process. It all depends on the various applications and part tolerances required of having to use electroforming or the photoetching method. E-FAB provides engineering and customer support for all types of OEM products. Visit E-FAB and talk with a sales consultant or an engineer to get your engineering and technical questions answered today. What is Photo Chemical Machining (PCM) Used to Manufacture? The processes of using photo chemical machining, photo etching, and chem milling, are ideal for thin metal parts fabrication, fine line etching, and engineering of micro machined parts. Many of these thin metal parts are then precisely formed into complex shapes. Advantages: The advantages of photo chemical machining and photo chemical etching are quite diverse in what it can do for metal parts manufacturing. Large format panels, tight tolerances, and low cost of tooling are but a few of the advantages with PCM for producing burr free intricate metal parts. Additionally the time from concept design engineering, to prototype, to manufacturing the parts, is substantially reduced. Fine lines and traces can be etched quickly and accurately using chemical milling techniques as opposed to CNC milling. All types of products can take advantage of the PCM and photoetching manufacturing processes. Everything from interconnects, RF and EMI shielding and fencing on PCB boards, microwave components, small antennas, fractal mulitband antenna geometries, microstrip devices, heat sinks, specialty flex circuits, hybrid circuits, precision springs, fine mesh screens, shadow masks for CRT devices, encoder disks, encoder strips, step lids, thermal frames, IC and PCB lead frames, PCB stiffeners, miniature contacts, precision scales, and a whole array of miniature components and micro machining possibilities that simply can not be produced cost effectively using conventional CNC machining or milling processes. Metals And Materials Used: Various types of metals and materials can be photo chemically machined and etched. Alloys such as: Kovar, nickel, brass, bronze, beryllium, copper, stainless steel, spring steels, tin, aluminum, tungsten, zirconium molybdenum, titanium, gold, silver, and other exotic materials can all be machined or photo etched using the PCM process. Various substrates such as Teflon, Duroid, polyimide, ceramics, copper foils, stainless steels, polymers, plastics, composites, and omega foils can be used in the parts. Ideally, the parts that can take advantage of the PCM process are built with thin metal sheets that are .062 inches or less in thickness. Parts and/or printed circuits, can additionally be built up, or deposited upon, the various substrates and material thicknesses, with very high precision using the PCM method. This provides engineers, when dealing with stringent design requirements, the means of taking full advantage of the micro precision manufacturing processes when designing new products and technologies with high precision, complex shapes, and excellent surface quality. See below. Process: The photo chemical machining principal involves the process of reproducing a precise photographic image on the surface of a metal sheet or other substance with a photoresist, and the etching away (or depositing upon) the unprotected areas by chemmachining or electrical means. This conversion of the exposed work material takes place by an electrochemical reaction. View the Photo Chemical Machining Process Advantages. Metal machined parts can be specially treated with a dielectric coating (superior to powder coating) for providing high Hipot electrical insulation values while at the same time maximizing and producing superior heat dissipation values. This type of dielectric coating has broad spectrum applications including: transformers, windings, RFI & EMI shielding, and laminations used in small motors. The industries that can take advantage of the PCM process are equally as diverse as the products themselves. Where tight tolerances and extreme thermal integrity are desired, the use of photo chemical machining for the manufacturing of certain components and highly complex parts, has been a benefit to the military, aerospace, NASA, and a host of other high tech industries for parts that need to be designed to handle the rugged use and the extreme temperature variations of equipment going into outer space. Satellites, Space Borne antennas, space fed lens antennas, smart antennas, ground based adaptive antenna arrays, and RF microwave antenna systems are continually being updated and designed to handle new types of communications and satellite direct imaging technology. With the need to develop new lower cost connectivity technologies, between low earth satellites, ground sensors, and continuous Internet connectivity requirements for military, research, and commercial applications; have resulted in a new breed of antenna engineering designs. Having to stay in-step with these new designs, new manufacturing processes and special application methods are being developed as these technology improvements have pushed the window of engineering and design beyond the limits of what can be manufactured using standard machining practices and fabrication operations. Miniaturization of existing printed circuits and the ability of these circuits to handle additional power requirements has created a whole world need for hybrid flexible circuits, miniature parts, and heatsink components of all shapes and sizes along with new methods for fabricating them. As the proximity of these miniature devices have merged closer on the printed circuit boards and operation at higher RF frequencies have increased for the components, there exists a need for tuned EMI shielding and RFI fencing in a wide variety of applications. This is where the PCM manufacturing process can really shine; especially when intricate, custom formed shields are required. Stacked memory arrays are another area of development where assembled components must be robust to handle the demands involved with military applications and severe use environments. Places where a hard drive would fail in a severe service environment, a stacked memory array can last through the same harsh environments. The assembly of these stacked memory arrays can take advantage of using an interconnect or multiple interconnects that have been precisely machined through the PCM and photoetching process. The interconnects not only provide the means of a superior electrical connection, but the metals and alloys used in stacked memory array assemblies are also natural heat sinks for superior heat dissipation. Other industries that have used the photo chemical machining, chemical milling, and photo etching process for precision metal parts fabrication have included: Medical, Dental, Microwave, Telecommunications, Antenna, Cellular, Satellite, Communications, Circuit Boards, Flex Circuits, Optical, Electronics, Semiconductor, RFID, Laser, and other High Tech OEMs. 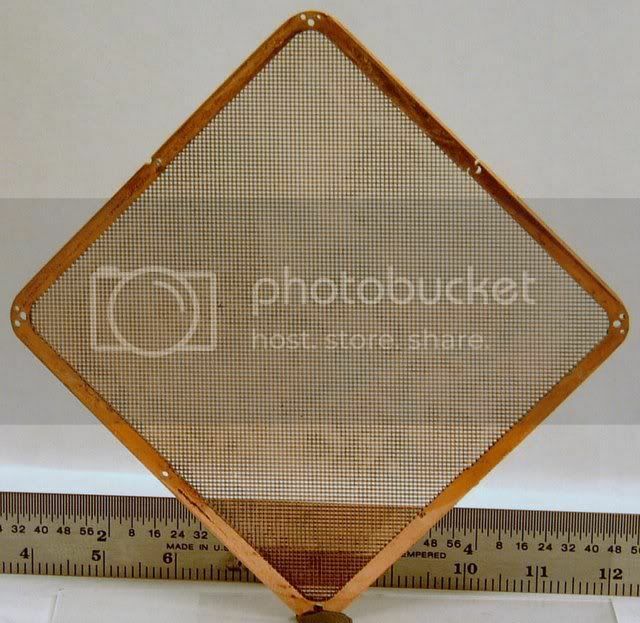 See other photo chemical machining examples. Contact E-FAB for technical engineering, specialized applications, and photochemical engineering design help services. A wide variety of application terms have been used over the years to represent the PCM industry. Many engineers from a diverse spectrum of industries use quite an array of terms synonymously. Photoetching, photomachining, chemical machining, chemical milling, chemmilling, electrochemical machining, chemical blanking, chem etching, photomilling, and photomachining all refer to PCM and metal etching processes. For a detailed description of all the engineering terminology used in the PCM industry; go to the photo etching terms page. An important note in the engineering and designing phase of a wide array of electronic parts and OEM products, is that a large variety of metals and alloys can be used in the photo etching and machining process. Depending on what an engineer's needs are for an electronic part or product; alloys such as: Kovar, nickel, brass, bronze, beryllium, copper, stainless steel, spring steels, tin, aluminum, tungsten, zirconium molybdenum, titanium, gold, silver, and other exotic materials can all be machined or photo etched. Additionally, various substrates such as Teflon, Duroid, polyimide, ceramics, copper foils, stainless steels, polymers, plastics, composites, omega foils, and other materials can be used as building blocks in the parts sub-structures. Contact E-FAB Engineering and customer support for help. © 2006 - Photo Chemical Machining - All Rights Reserved.